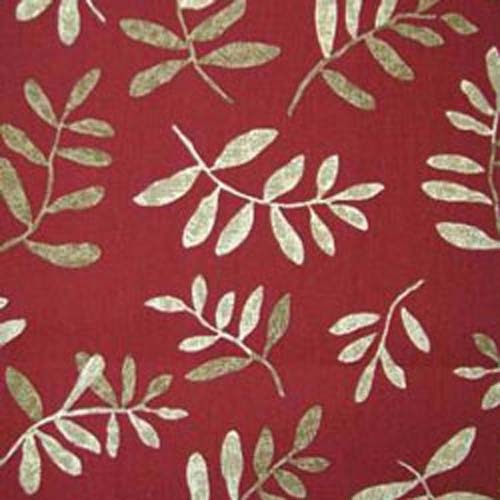 P Kaufmann Native Leaves outdoor fabric in the red colorway. High performance outdoor fabric. Fade, mildew and water resistant. This fabric is perfect for outdoor seat cushions, upholstery, slipcovers, pillows, tote bags, placemats, aprons and more.